Display creative has become an increasingly important focus as more advertisers compete to catch a consumer’s eye. In this post, we’ll walk through five different ways to evaluate, and improve upon, your display creative. Does your display creative follow best practices? 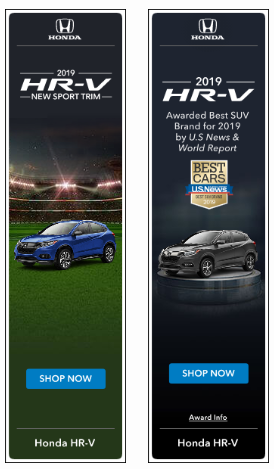 This checklist is a quick assessment of what your display ads should ideally include, compiled by our team at Metric Theory and based on our clients’ best performing display ads. Can you use historical data to find a theme in your best-performing ads? This method does require you to have run different types and formats of ads in the past. The trick here is to aggregate the data in a way that allows you to observe themes in wording, color schemes, animation, imagery, etc. and use that information to develop your best performers yet. Can you use seasonal trends to predict which creative will perform best? 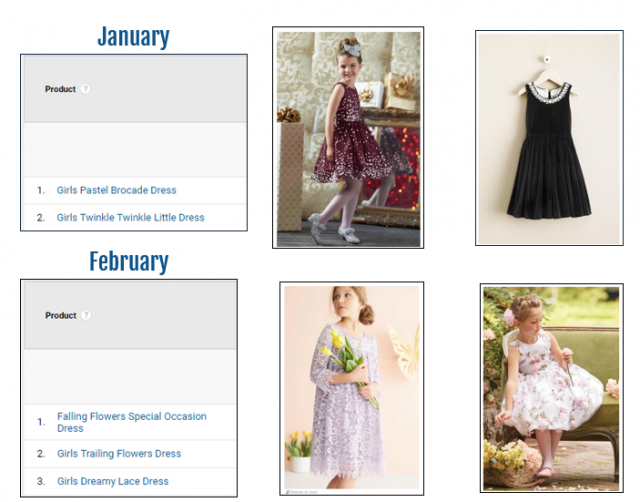 This method is most useful if you are an ecommerce business that sees seasonal trends in top sellers. The easiest way to do this is to navigate to Sales Performance in Google Analytics and look at what products were the biggest revenue-producers during this season last year. With that knowledge, you can learn which types of products would be most compelling to feature in this year’s ads. This method can be used across the board with many different types of businesses, both ecommerce and B2B. Use a tool like SEM Rush or Google Auction Insights to identify your top competitors. Then, visit moat.com to see what types of ads your competitors are running. What does your target audience want to see? Similar to the competitor approach, another way to get ideas for creative is to look at who you want to be competing with. For example, a minimal, millennial-focused mattress company isn’t going to look at Raymour & Flanigan for inspiration; they’ll want to look at companies with the same target audience and aesthetic. Bonus Question: How do you figure out what works for your brand? Start testing! 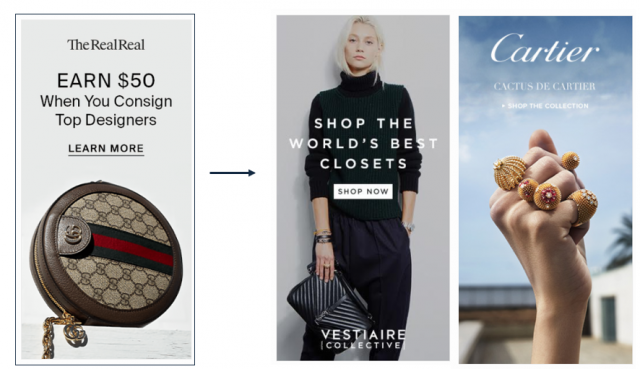 Pick one small, easy-to-change detail in your creative and run an A/B test to see which has higher click-through-rates. 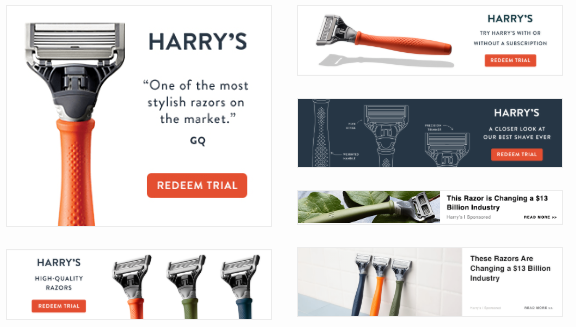 Some quick changes include: light text vs. heavy text, single vs. multiple products, product vs. lifestyle imagery. Observe how this performs, and then make the winning element a standard in all of your creative moving forward. 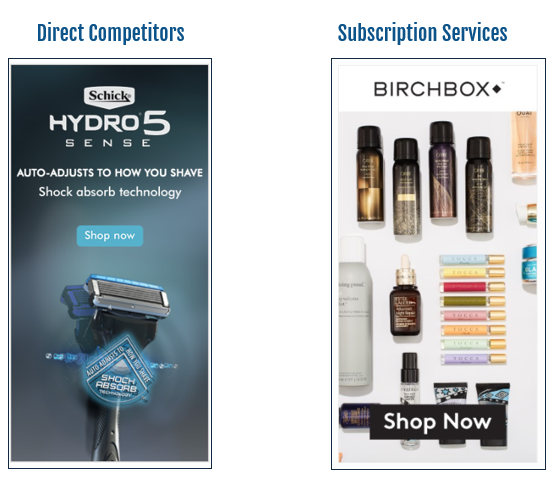 For additional help on your display campaigns, contact our team!